Concrete mixer mainly mixes the cement and sand, and it is conceivable that the concrete mixer needs strong strength, and there will be certainly some sediment consolidated on the impeller after stirring, which causes the body stick a lot of dirt. This is inseparable from the maintenance and maintenance of concrete mixer. How to maintain mixer to make it to live longer? First, prepare well before using concrete mixer and the most important is to check whether the working state of various parts is normal. Second, the timely cleaning manner of mixer body after completion of work: timely clean it up after using concrete mixer, and at the same time avoid dirt entering motor, gear and other devices. Add lubricating oil to time to avoid huge damage for concrete mixer due to the friction. 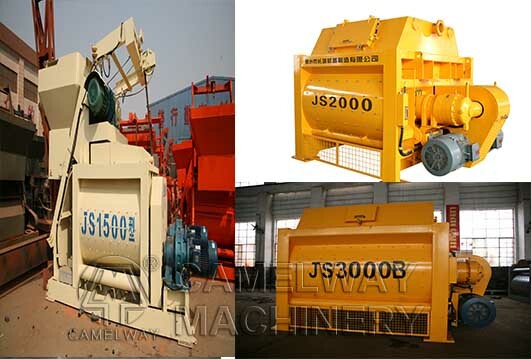 Third, during the work of concrete mixer, we also need pay attention its working condition from time to time, such as motor, gear, etc, and from these devices’ working voice, we can determine whether their work is normal to conduct careful examination.